I, Karen Tyrrell am passionate about Mental Health and I want the world to start TALKING about it! Mental health issues are NORMAL. Everyone is struggling with something … anxiety, depression, panic attacks, stress, or sleep disorders sometime in their life. Either their own or with someone they love. It’s time to STOP the hushed whispers and start talking about mental illness. Mental illness is like any OTHER illness… It has symptoms, diagnosis, treatment and recovery. YES, Recovery! 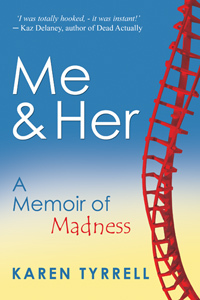 Matt Townsend American psychologist interviewed me on my recovery from mental illness: Bipolar Disorder and PTSD on USA satellite radio, transmitting over the globe. 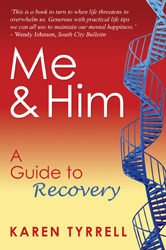 He requested the interview after reading my self-help manual Me and Him: A Guide to Recovery, with thirty steps to recovery, wellness and resilience. 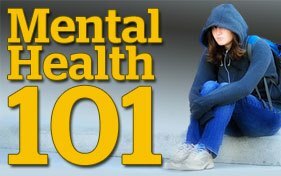 LISTEN to my satellite radio Mental Health 101 podcast. Did this interview help to open up discussions on Mental Health and Mental illness? Do you talk about mental health issues with your friends and colleagues?